As their currently ongoing West Coast tour with winds down, Seattle doom metal outfit, SAMOTHRACE, confirms their ongoing forage across the continent through the rest of November. 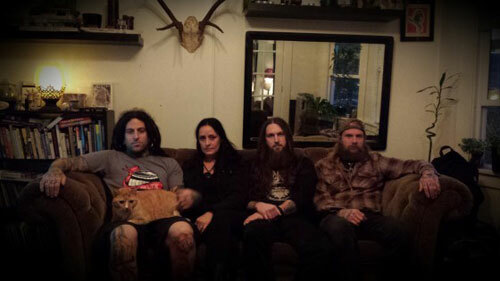 The current tour, booked across the West Coast with SAMOTHRACE co-headlining each show alongside SubRosa, was altered this week when SubRosa was robbed of their gear, forcing them to bow-out early. 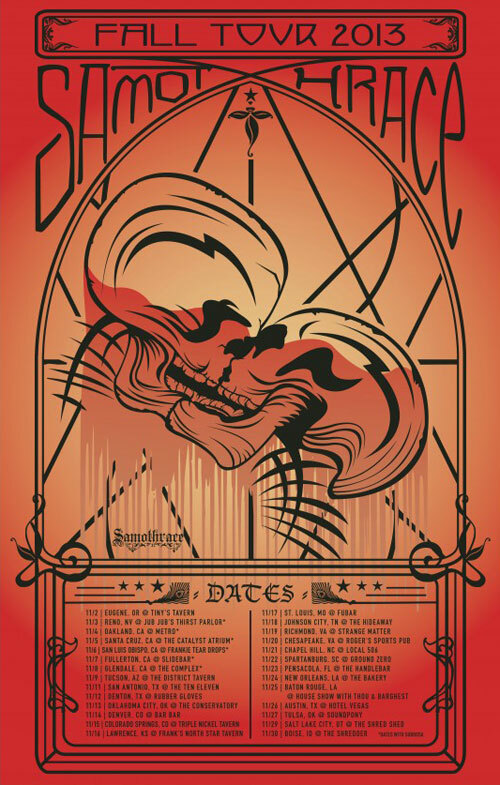 As SAMOTHRACE finishes out the tour solo, they’ll continue to tear into the Southern and Midwestern end of the country, with three more weeks of shows set to begin this Saturday in Tucson, Arizona, then snaking through Texas, Oklahoma, Colorado, Kansas, Missouri, Tennessee, Virginia, North Carolina, South Carolina, Florida, Louisiana, Utah and Idaho on the way back home. The acclaimed Reverence To Stone was released in July of 2012 via 20 Buck Spin, the label responsible for unveiling the band to the masses on the masterful 2008 debut SAMOTHRACE album, Life’s Trade. Through two lumbering, expansive tracks, the band explores more cavernous realms of thunderous tone hand-in-hand with even more beautiful and organic elements than ever on Reverence To Stone, all culminating in an incredibly real-sounding, psychedelic doom metal that continues to prove SAMOTHRACE as one of the top bands of the genre. Since the LP’s triumphant release, the band has trekked across the US regionally several times and also ventured across all of Europe on their debut tour of the continent, and as they continue to book more dates this Autumn, continue their most intense touring cycle in the band’s entire lineage.